Here we are! A new company, new community, new tools, new view from the office window and a fresh start. 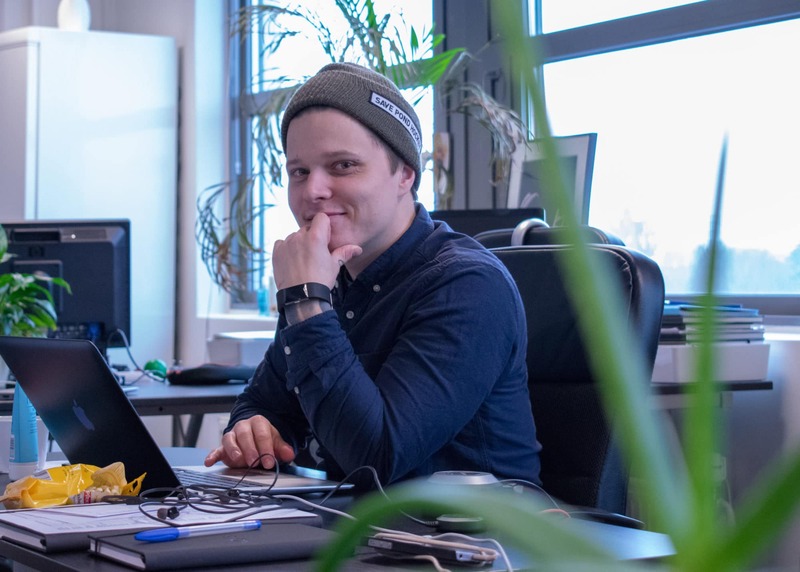 Let me briefly introduce myself; I’m Janne Kuikka, a 30-year-old fresh rookie IT recruiter. I do have a professional background in recruitment, but now I truly get to dig into the depths of IT recruitment – very exciting! In early January, I joined Agile Search. I bumped into the job ad on LinkedIn and decided to apply straight away. As I already happened to know some of the people at Agile Search, I was convinced I’d easily fit into the company culture. Now, after working here for a few weeks, I can say I was right; I have felt welcome from day one and it feels like I’ve been part of the team for much longer – that’s always a good sign! So, why am I passionate about recruitment, executive search and matching people with the right jobs? The answer is very simple; as we spend at least one third of our adult life at work, it’s essential to find a motivating job and a workplace where you gladly go to in the mornings. The commute to work isn’t half as bad if you’re going to spend your day on something you actually enjoy. Also, I wanted to say a word about finding potential. By definition, potential translates to something being possible – that something might happen but it’s not certain yet. We all have potential, actually infinitely, yet it’s not limitless. Tricky, isn’t it? I’ll give you a very simple example; if you’re like me, a short person, you’re not going to have a very flashy career in professional basketball. However, within your limits, you have an infinite amount of potential to grow, learn, turn around, and take on new responsibilities. Thus, what we recruiters do, is that we evaluate candidates’ potential against the positions at hand. We match the candidates’ hard and soft skills with the requirements and values of the employing organization. In addition, it’s vital to always weigh in the potential of candidates. This often makes me wonder why soon after the hiring process is completed, the new hire is considered solely as a human resource, not human potential. The word resource indicates that people, the most important asset of any company, are considered as resources, such as time and money, and not as a future asset. My personal mission as a recruiter is to encourage organizations to recognize potential rather than only choosing to hire those ”100% matches”. By nurturing the potential of an individual, organizations can build great winning teams. The ’You get what you give’ law works here. If the employer neglects the potential, employees will find their way to an organization that will value it more. In a nutshell, I have always wanted to bring to the discussion that let us move away from pure Human Resources Management to more vivid Human Potential Management. I suggest we take a different approach to traditional HR, shake it up a bit, and change working life for good. I agree with you. Looking forward to know more reasons to join Recruitment. Next PostNext What happens in Prague stays in Prague…..